Holistic living has been a way of life for me since I was a young child. Introduced to me by my mother I was surrounded my books about wellness and natural healing. It was actually the norm for me to pick up books at a young age about both indigenous healing methods as well as modern medicine. Reading both helped me to understand that majority of sicknesses started off with healing herbs and plants, all-natural sources provided by earth, which a share of many people today don’t even know. When I would become ill with a common cold or rarely a fever, I would heal rather quickly from natural recipes. Unlike with conventional medicines that would suppress my symptoms and keep me not feeling well for extended periods of time. Another side effect I would have would be experiencing the warned potential other aliments that came along with the product. Seeing that over the counter medicines did not heal me as fast as they said, would in addition cause other signs that my body was rejecting the man-made concoction, I always disliked the taste. Now, I am not a doctor. Nor was my mother. BUT, I will be sharing ancient as well as homemade (DIY) wellness methods that I have found to work for me. Patch test a small area of the body for allergic reactions when using essentail oils DYI reciepes. Patch test somewhere hidden on your body. Suggestions; For your face, a hidden location is the side of your neck. For testing your body elsewhere: behind your knees, the stomach, or the back of your upper arms. It is always good and best to follow your doctors’ instructions when trying any DYI recipes, (or even exercise suggestions) on our website. Asking them any questions that you may have considering anything preexisting that you have experienced health wise, or any changes that may develop based on the doctors assessments. Technology has advanced since the ancient days so use it. I will share both holistic ways as well has conventional ways of living. Inner beauty is an essential accent and outer beauty is just as desired for many. As I grew up I found that acne was a hormonal reaction that my body took a while to slow down. It went from my entire face being coveredd in acne, my forehead being the worst, cheeks, and chin breaking out frequently. As a teen this made me self-conscious, and for me my acne started around 11-12 years of age. At this time there was commercial after commercial advertising acne medicines on TV that were “proven by dermatologist” to work as they all seem to state. I would try one after the next, I started drinking water as if it was a ritual, I monitored what foods I thought broke me out the most and nothing seemed to help. Making an appointment to be seen by dermatologists to be prescribed with the strongest benzol peroxide that was on the market i found that not to work either. As I grew to be in my late teens I started to eat less oils and REALLY watch what I ate throughout the month. Seeing how my acne had lessened in my early 20’s, I then had what’s considered “adult acne” once you past your teen years. Not wanting to pack makeup on my face to cover bumps and blemishes, I started purchasing facial masks from stores to give them a try. Unfortunately they irritated my skin with burning and swelling. Then it dawned on me to create my own recipes for masks and only purchase natural over the counter products from stores. My skin remains clear with me often receiving complements and my photos looking radiant without filters. Holistic skincare has been the way to go for me. Your body is meant to look and feel vibrant! As you practice living out the very best healthy version of yourself you will fall onto living a more sustainable, green life. My passion for a natural life is lived harmoniously and joyously. This comprehensive and hands-on approach of combining mindful conventional (common modern day) living with alternative treatments (holistic and much older medicines) is often referred to as “complementary medicine.” My life is more holistic than conventional. 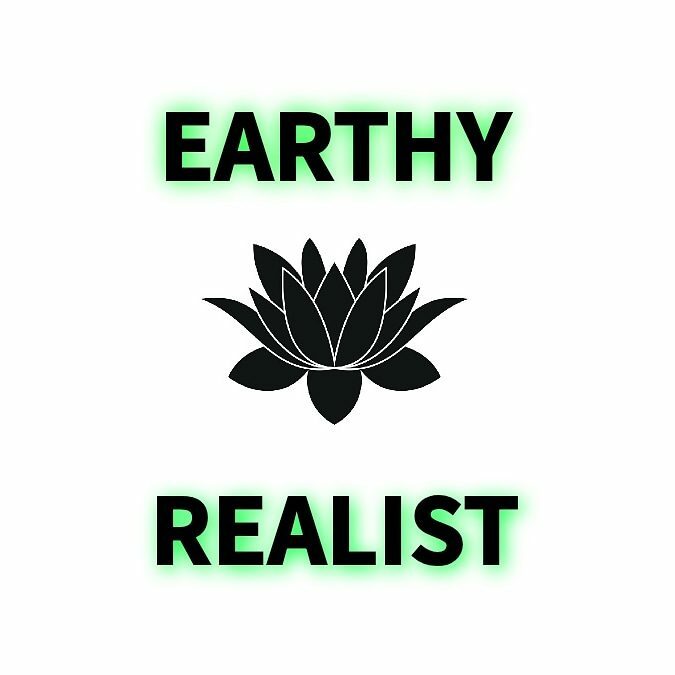 If you are starting your holistic journey you will learn that it is a beautiful community with resources such as Earthy Realist and beyond to assist with with guidance. … Earthy Realist […] to assist with with guidance. The name of this blog is “Earthy Realist” for a reason. And that reason being that people can live a peaceful realistic life. Holistic, natural living for me brings calmness and respect for earth and all that is offered from this beautiful planet. My integrated holistic, mindfulness, wellness recipe includes practicing yoga, purchasing foods from the farmers market, being mindful of the chain grocery stores that I do shop at (preferring smaller chains or independent grocers), studying psychology, enjoying nature by adventuring in different activities, not watching tv, and resting as my body and mind needs to. …people can live a peaceful realistic life. This lifestyle motivated me to get out of bed prepared to face the beauty and challenges of this world. I look forward to seeing you discover your holistic journey.